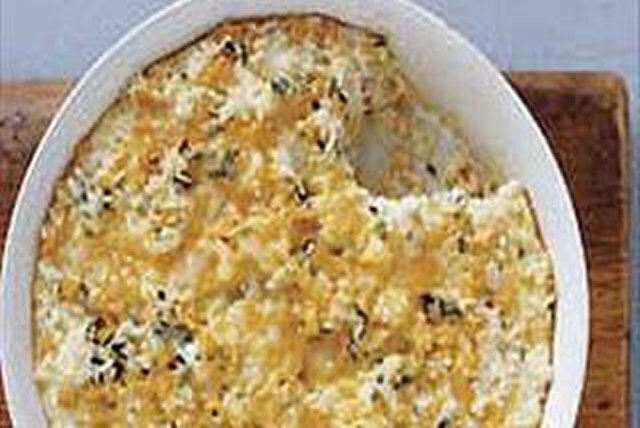 This hearty casserole gets its zip from a delicious blend of cheeses. Preheat oven to 375°F. Mix cream cheese product and egg in large bowl until well blended. Stir in rice, corn, 3/4 cup of the shredded cheese and cilantro. Pour mixture into greased 1L baking dish. Sprinkle with remaining 1/4 cup shredded cheese. Bake 20 to 25 min. or until cheese on top is melted and lightly browned.